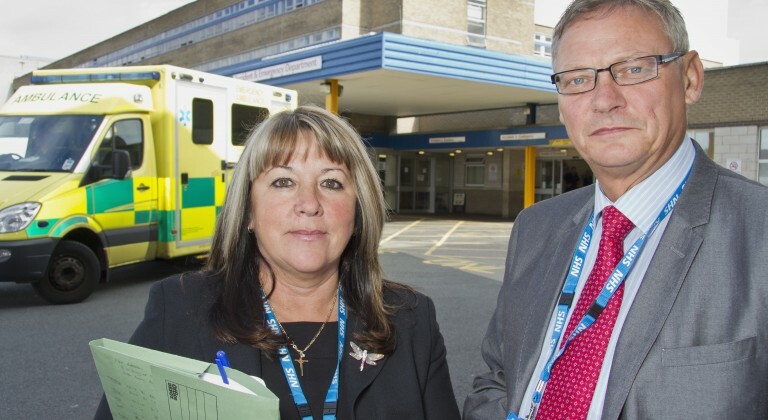 At Sunderland CCG we focus heavily on the needs of our patients, it’s one of our core values and this ties in with the Government’s objective for patient care, ‘there will be no decision about me, without me’. NHS Sunderland Clinical Commissioning Group (CCG) is the statutory health body responsible for the planning and buying of local NHS care and services to meet the needs of the local community. It is made up from a partnership of 51 GP practices, split into five localities, Coalfield, Sunderland North, Sunderland East, Sunderland West and Washington, and together we are responsible for a local population of approx. 281,500. Working as a clinical commissioning group (CCG) we deliver high quality care, using the most appropriate methods and cost effective resources, to improve healthcare provision for the people of Sunderland and reduce disparities in health and social care. By using effective clinical decision-making we can make a real impact on the health, wellbeing and life expectancy of our patients. Clinical commissioning groups (CCG) are made up of doctors, nurses and other health professionals, supported by experienced health service managers. Local GP practices work alongside specialist healthcare professionals, combining expertise and experience to improve healthcare services and benefit the people of Sunderland. As the clinical commissioning groups are formed by local family GPs, we believe we are well placed to fully understand our patients’ needs, developing responsive health services, making sure that patient care is always at the heart of our decision-making, and ensuring we continue to provide best practice and evidence-based medicine. 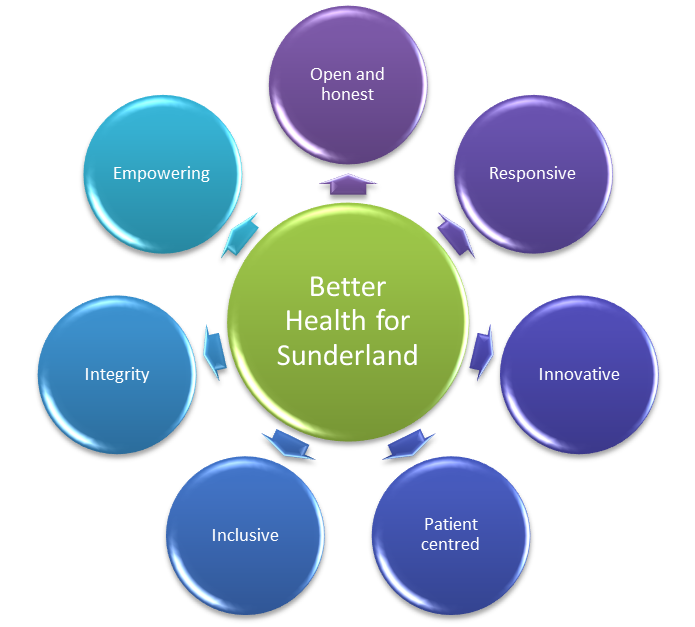 Sunderland Clinical Commissioning Group believes that this ethos should be carried through all aspects of healthcare, determining how we plan and commission our healthcare and health services. We are conscious to always involve our patients in their care and in health service decisions that will affect them. We are always looking for ways to widen our community engagement and participation. Through a wide range of activities including surveys, focus groups, formal consultations and events we will make sure our communities are aware of and consulted in any decision-making, allowing us to act on healthcare priorities from a local perspective. We have decided to make use of social media as a communication tool,e.g. Facebook providing the local community with a platform to voice their opinions on our health and social care services. As well as involving patients, the local community and voluntary sector in healthcare decisions, we also work very closely with the local council, Sunderland Health and Wellbeing Board and Healthwatch.